This summer, we went on a two week jaunt in Europe and I am completely bummed to be back! We had such an amazing time and we go to revisit one of our favorite places in the world: Paris! We were coming off of a cruise from Venice, so we flew into Charles de Gaulle airport Saturday morning. The flight from Venice to Paris is about two hours, so it was a quick flight. We flew with Vueling airlines after Air France had a nasty strike that cancelled our flight (and what a headache that was! Making international calls while on the seas is no easy feat!). After all of the chaos, we made it to Paris! We stayed in the 17th arrondissement, right near the Arc de Triomphe. 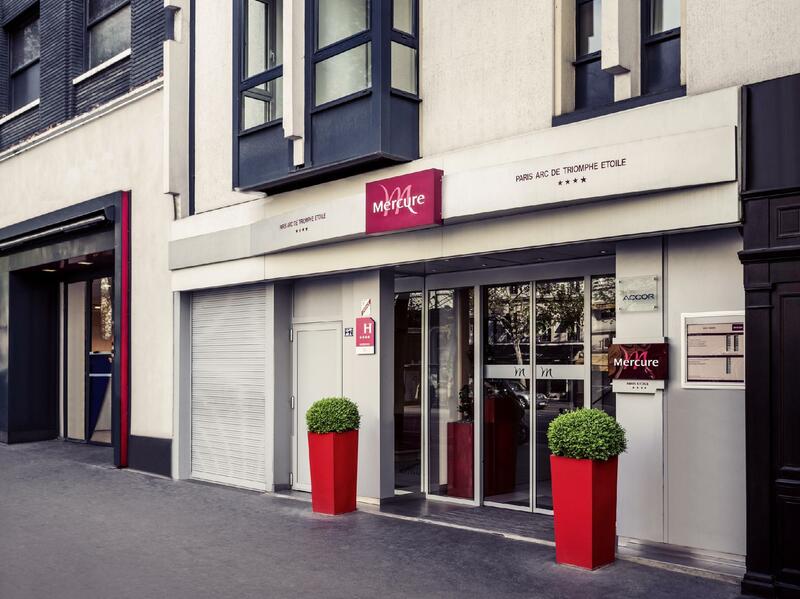 Our hotel was the Mercure Arc de Triomphe Etoile on Avenue des Ternes. It was about a ten minute walk to the arc and central to many lines of the metro. There were lots of restaurants and shops around as well. It was a great location! We will definitely stay on this side of town when we return. We then spent the next few days enjoying what Paris had to offer! Although we had visited before, we went back to the Eiffel Tower to take some pictures (this time in the day!). It wasn’t very crowded and the weather was BEAUTIFUL! The Apple store was in the carosel mall near the Louvre, which is a great place for those who want to shop. We were in and out. For dinner that night, we strolled around reading menus until we ended up at La Marée a seafood restaurant. This was one of the best meals we had while in Paris. Everything was amazingly fresh and Wes, who isn’t fond of seafood, enjoyed everything. Highly recommend making your way there if ever in Paris. We ate at some more amazing places, one being Chez Janou, a funky little bistro near the Opera Bastille. The food here was to die for! We had gone to L’auberge Saint Roch the last time were here and that was the best food I had EVER had. Even though this was our second time in Paris, I still left feeling unfulfilled! We will most certainly be back to do some more exploring! If you have the chance, definitely make your way to Paris. You will NOT regret it!